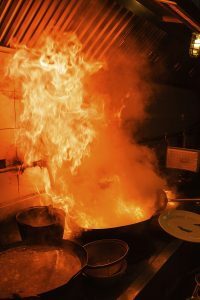 Organizing a fire watch can help protect you! When was the last time you had your building inspected for fire safety violations? These inspections are crucial, especially when fire codes change and you are no longer sure that you are still compliant. When it comes to fire protection, you may have many questions. One of them is “what is a fire watch?” It’s time to find out more. Essentially, fire watches are conducted by trained fire protection specialists or an employee who has the proper training. They watch over the parts of the building that don’t have any fire protection systems in place yet and can deal with the fire until first responders arrive. There are numerous reasons why you would need one. For instance, due to a power outage, the fire alarms, fire sprinklers, and automated fire suppression systems are temporarily offline. This can be due to an accident, or due to a prearranged outage where the power will be out longer than four hours. Another reason is when there is hot work going inside the building – welding, torching, or any work that produces heat and sparks. Two other reasons that call for a fire watch are during an active building demolition and when the building is especially crowded. Once a fire watch has been initiated, it is important to follow the proper fire protection protocols associated with it. Keep a watchful eye on any potential firestarters and fuel sources. Then make sure that all emergency exits are fully operational and are kept free of blockages. This may involve ensuring that emergency lights are functional as well. Make sure that fire extinguishers are in easy reach and that emergency evacuation plans are well-rehearsed. Once it’s necessary to begin a fire watch, take the time to cover the entire building. A fire that starts on one floor can easily sweep to other rooms on the same floor or move to a different part of the building. Whenever hot work is underway, focus the fire watch on that area only. Then keep detailed notes and documentation of each fire watch whenever they are necessary for future reference. Ending a fire watch can be tricky. It all comes down to why the fire watch was needed in the first place. Once an outage is over, the fire watch you can cancel the fire watch as well. But during hot work and crowded events, it is best to wait for half an hour or after all the crowds have dispersed to call off the watch. This entry was posted on Friday, December 7th, 2018 at 2:31 pm. Both comments and pings are currently closed.